at a glance. | 更臭更好吃. Category Archives: at a glance. I love congee. I grew up on it and I can be quite picky about what kind I like. For instance, I prefer traditional Taiwanese-style congee with just rice and sweet potatoes to Cantonese-style congee loaded up with century eggs (皮蛋) and what not. Despite this, I must say I really like the vegetarian mushroom congee from the little vegetarian cart near my office in Neihu. At MRT Xihu station, take exit 1 and head east on Neihu Rd. (內湖路) towards the Cosmed and Starbucks. The unnamed vegetarian stand sits between Hearty Dental Clinic and Pizza Hut (which is No. 381). You’ll see a table out front and a sign in Chinese with the character 素 (sù), which means vegetarian. Aside for the congee, they also have vegetarian mushroom mianxian (香菇麵線), which I get quite often because it’s delicious, as well as rice dumplings (素食粽子), curry rice, miso soup (味噌湯). 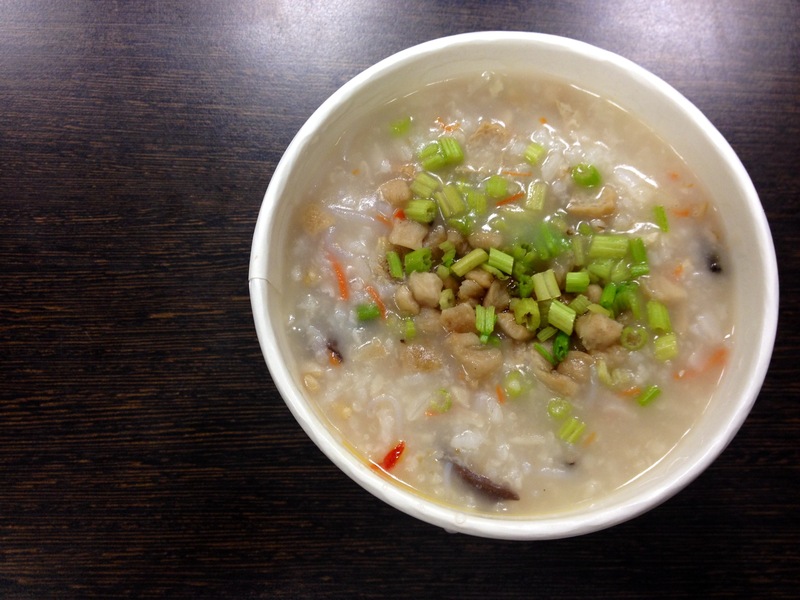 The congee comes in two sizes: small for 35NT and large for 45NT. Inside the congee is black wood ear, shitake mushrooms, taro, tofu, carrot, pickled daikon radish (菜脯), etc. If you like spicy foods, like I do, ask them to add some chili sauce (加辣)–you only need a little, as a little goes a long way. <300NT, 5 hearts, at a glance., dinner, favorites, gongguan （公館), lunch, national taiwan university (台大), thai. Read my original review of Sawasdee. July in Taiwan means the whole country is your own personal outdoor sauna. 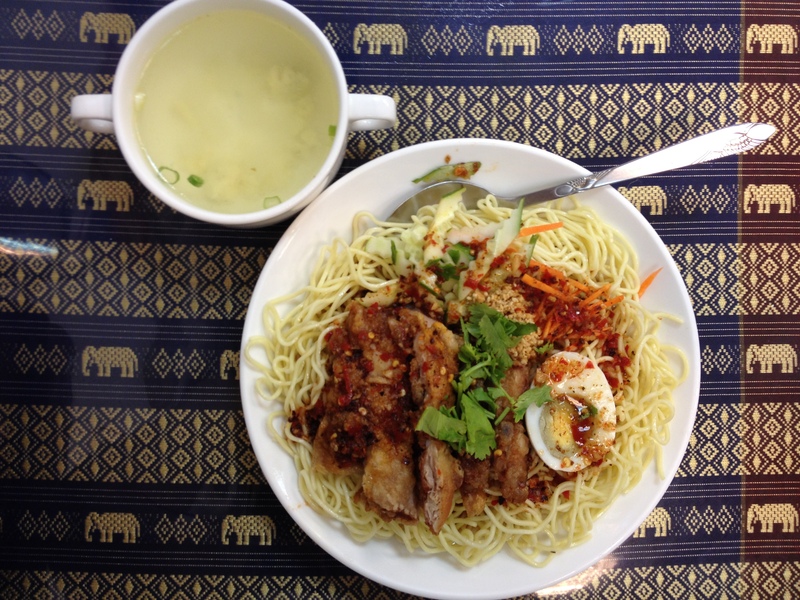 This also means cold noodles are a perfect way to enjoy living on the sun. One of my favorite things about summer in Taipei (other than mango season) is that it is time for Thai-style sweet pepper chicken cold noodles (椒麻雞涼麵) at my go to Thai restaurant, Sawasdee. In general, I love the sweet pepper chicken at Sawasdee — I get it often. 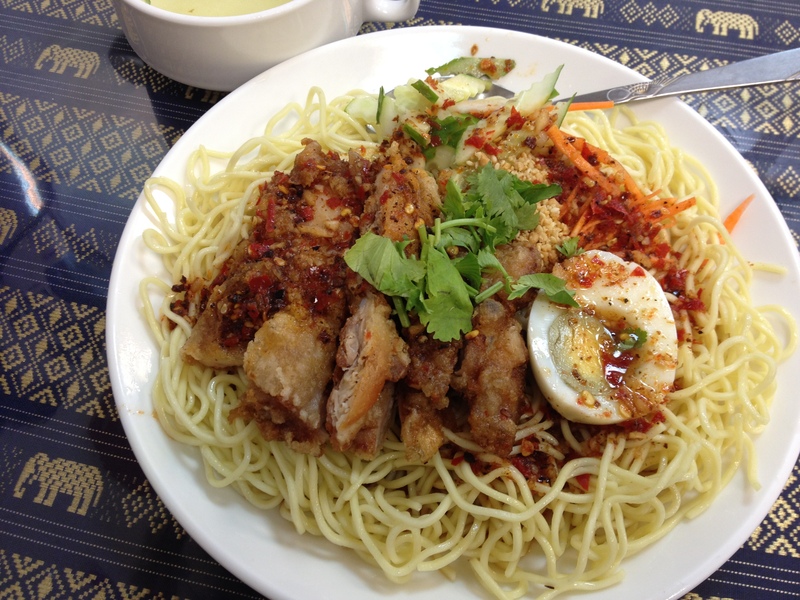 But during the summer they do something a little different: they stick the chicken on top of a bed of cold noodles. For 100NT you can get a delicious plate of these cold noodles, which comes with a cup of soup (their usual is a daikon radish broth). The serving is pretty big (I pack half to go) and is served with some sliced cucumbers, carrots, and half a boiled egg. Get it while you can because this is a summertime offering only!